The Bradshott kitchen is an example of how being entirely bespoke, we at Culshaw Kitchen Makers can produce a stunning kitchen in smallest of spaces. The Bradshott was installed in a period cottage in rural Lancashire. Small kitchens are not without their design challenges and the same can be said for the installation. With access limited, workspace tight and character walls, the completed kitchen gives nothing away to the challenges it posed. The Bradshott is also a good example of how you can mix and match the various design styles. Our main key design features available to mix and match are face frames, door and drawer styles, end panels and cornice details. Face frames can be either a flat frame with a small chamfer or a 5mm reed to the inside edge. Doors and drawer styles are the modern clean and contemporary Shaker style or a more traditional scribe door. With end panels we offer flush, reeded or panelled to match the door style. The combinations are endless but the final look of the chosen options always looks harmonious. The overall look and style of a kitchen is very important and here at Culshaw the same amount of care and attention to detail is given to the interiors of all our cabinets. Details like clever storage, individually tailored inserts and larder shelving all work behind the scenes. 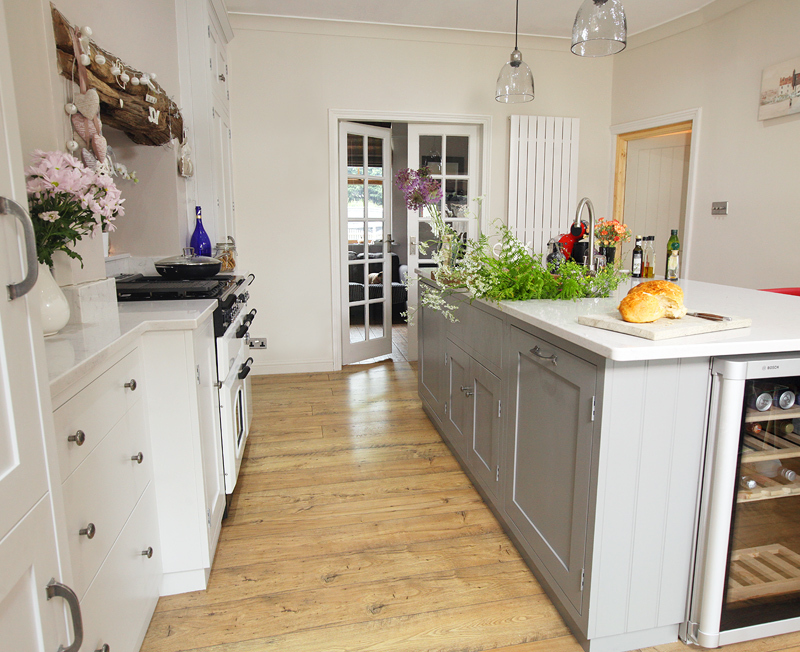 One of the main challenges in this kitchen was the island unit. Hidden details aren’t always what we put inside a cabinet. With this island in particular we had to ensure the plumbing was brought through the floor into the correct location for the sink and dishwasher. Working alongside the contractors all plumbing was installed prior to the floor being laid. With such a small space it was imperative that when the time came to install the island and appliance’s everything was in the correct position. All our cabinet work comes with a 3 year warranty. Any appliances are covered by the standard manufacturer’s one year warranty. 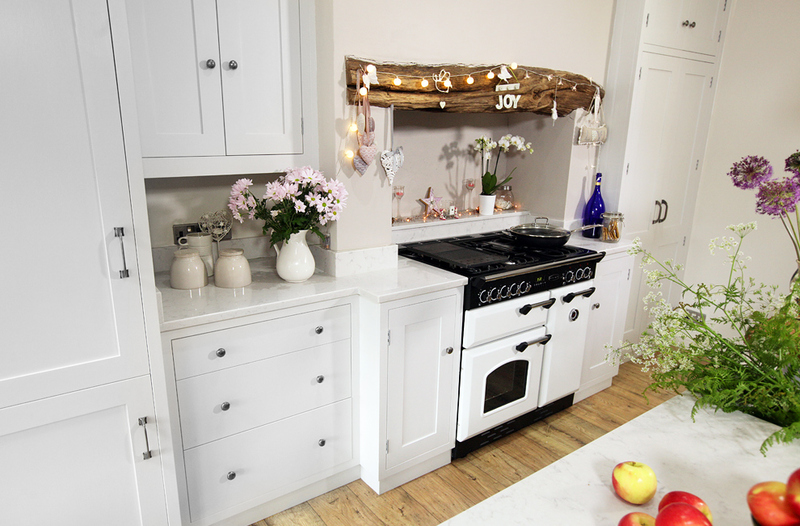 As all kitchens are bespoke lead times are dependent on size, style and design. Please get in touch to find out current lead times or discuss schedules for your own kitchen build or renovations.